A surreal and gorgeously coloured jigsaw adapted from the work of Polish artist Jacek Yerka. 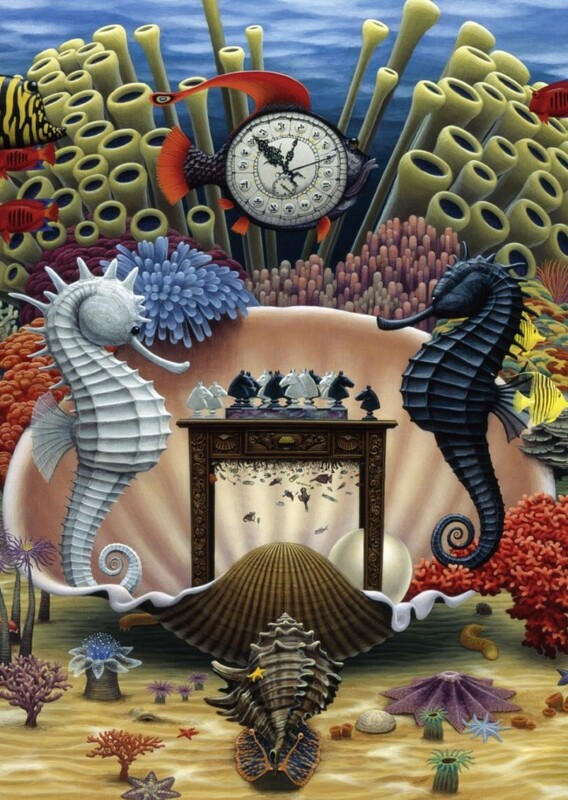 He presents an underwater chess game, played by seahorses. This 1,000-piece puzzle offers a challenge to the most experienced puzzler and the opportunity to study this great artwork. Other puzzles based on the work of Yerka are available.